A novel low-cost papaya-clay combo adsorbent, hybrid clay (HYCA), was prepared from a combination of Carica papaya seeds and Kaolinite clay. 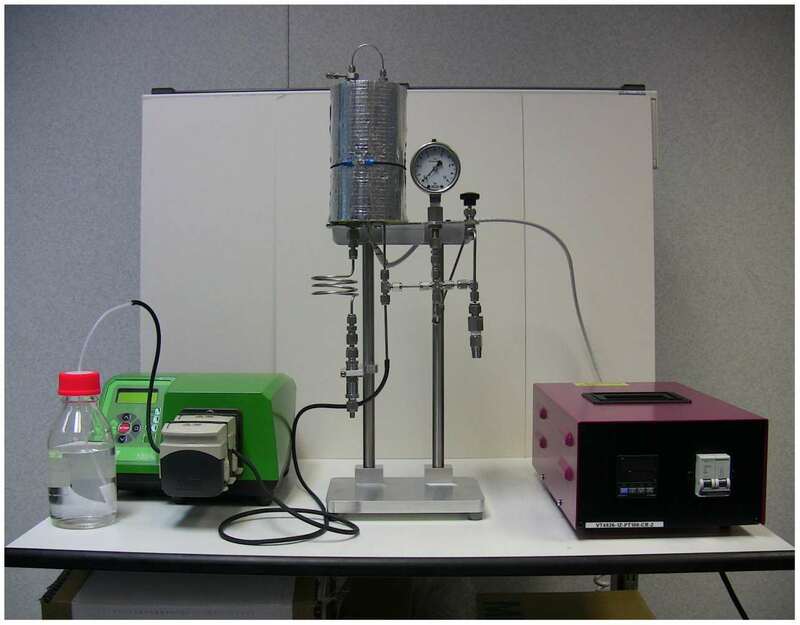 HYCA breakthrough adsorption capacity was 35.46 mg/g for the adsorption of methylene blue (MB) dye in a pilot-scale fixed-bed reactor. In ca. 20 min, regeneration of MB dye-loaded HYCA reached at least 90% each cycle for five regeneration cycles. However, above 40°C, the HYCA adsorbent lost more than 50% of its adsorption capacity after five regeneration cycles. The AdDesignSTM software was used to successfully predict the breakthrough curve and scale-up performance of MB dye adsorption onto the HYCA adsorbent. The pore and surface diffusion model (PSDM) described experimental data better than the constant pattern homogeneous surface diffusion model. From economic assessment using the PSDM, the AdDesignSTM software predicted that 1 kg of HYCA can effectively treat 1.45 m3 (0.29 m3 each cycle) of water containing 1 mg/L of MB dye (with a treatment objective of 50 μg/L MB dye) in effluent solution in 9 h 35 min with run time of ca. 15 h in a day including time for five regeneration cycles It was further predicted that the presence of other organic pollutants in low concentrations reduce the breakthrough adsorption capacity of HYCA by 10%. Finally, the cost of preparing 1 kg of HYCA adsorbent was calculated to ≈$6.31 vs. ≈$31.25/kg for medium quality commercial activated carbon.